Watermelon Woman is not only the first African-American lesbian film but it is also a platform for deeper dialog about the importance of archiving African American history – in particular African-American queer history. 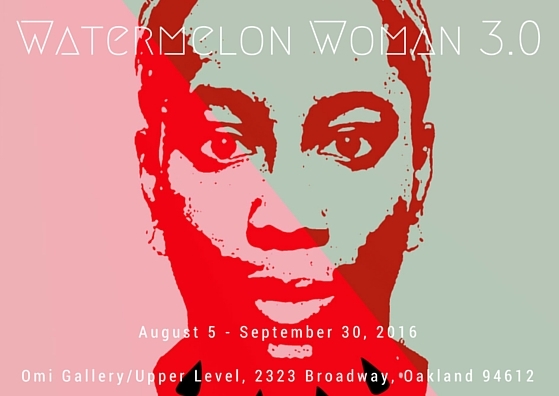 The Watermelon Woman 3.0 exhibition is critical for this moment in time because the issues addressed by the film twenty years ago are still impacting the queer and trans communities of color. Through the exhibition, public programming, and artist talks, we want to uncover the taboo about Black and POC queer women: how we love, who we love, and beauty politics. Our goals are for these conversations and interactions to spark new resources for queer history, news and empowering philosophies to become accessible through a multitude of mediums and ensure the intellectual knowledge is created by and for queer people of color to learn, discover, and continue our powerful history and continued resilience. The Watermelon Woman 3.0 is an interactive program where academic partners, artists of various mediums and creative technologies, and socially conscious venue partners unite to pay homage, celebrate and highlight the cultural relevance of the legendary film, Watermelon Woman by filmmaker, Cheryl Dunye. We are queer women identified curators of color who have a passion for the empowerment of queer and trans lives, as well as creating space for artists of various skill levels and ability. Our goals are to educate people about the film, investigate modern day watermelon women, the mammy figure, and explore the issues and work being done in the Black queer and trans movements.